This weeks Texture Tuesday theme is ‘look down’. I couldn’t resist the opportunity to photograph this beautiful rose, and it’s unusual colours. Soft pink petals each outlined with a soft tinged green. I can’t tell tell you the name of it as I bought a bunch while out shopping. The recipe for today’s photo is very much a jumble, however I can tell you that I used the latest texture of Kim Klassen’s ‘Dream-it’. 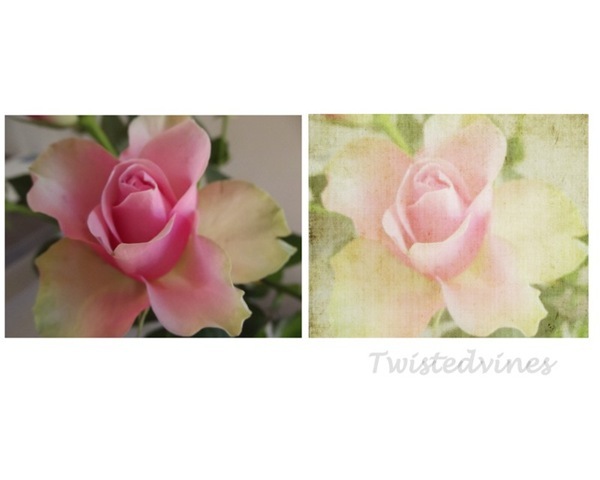 This design is from the exact same rose photo, using the software Paintshop Pro x. You can try it out with their 30 day trial here. Lot’s of fun! Yvette, such a gorgeous rose…so beautiful in color and shape. And I love the lovely soft muted effect you’ve done with it. Both photos are so pretty. I’m glad you captured this breathtaking beauty, for I’m sure by now it’s changed. You are most creative and talented. P.S, The kaleidoscope effect is amazingly wonderful, too. The designs it can make seem endlessly captivating. 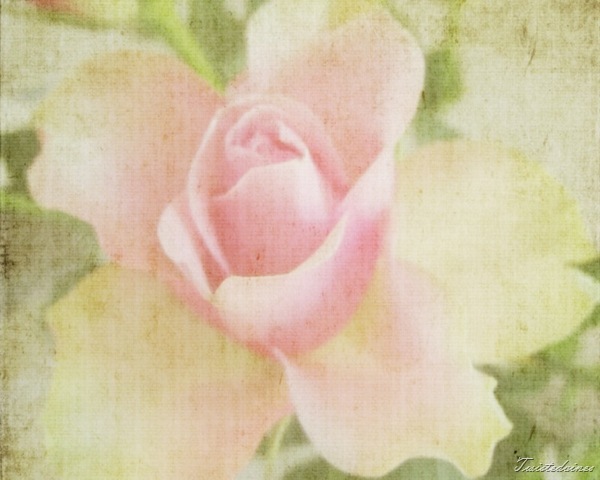 Such a beautiful rose, Yvette, and your editing is spot-on. 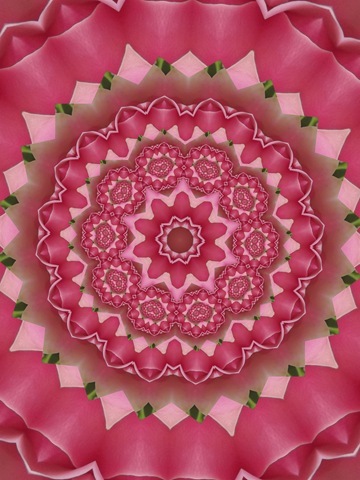 Your “experiment” with the kaleidoscope effect is incredible! That’s some experiment! Beautiful and soft! Great processing. So soft and pretty, very nice.